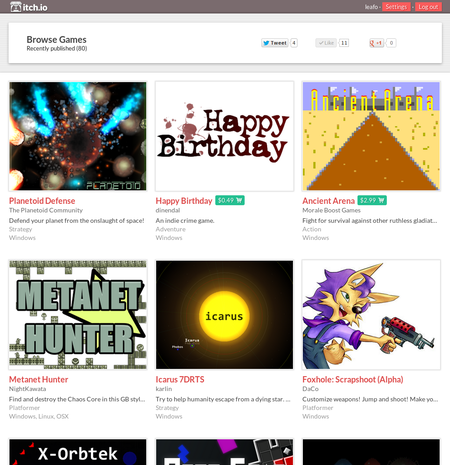 New itch.io browse page! Takes advantage of wide screens and shows a lot more relevant data about each game. Enjoy!